ver the last 900 years there have only been two owners of the Bucklebury Estate; Reading Abbey and the Winchcombe Family. King Henry I granted the Bucklebury Estate to the Benedictine Monks of Reading Abbey on 23rd June, 1121. The Abbot of Reading Abbey built a house at Bucklebury (on the current site of Bucklebury House) and constructed an elaborate series of fishponds, a dovecote, created a feudal field system and a Warren for rabbits. 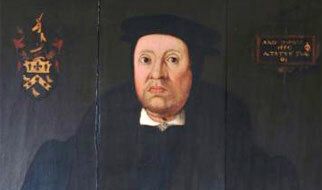 The Abbot and Community of Reading Abbey oversaw the affairs of the Bucklebury Estate until 1538 when the Estate was confiscated by the Crown under the Dissolution of the Monasteries. The last Abbot of Reading, Hugh Faringdon, was martyred for his faith. 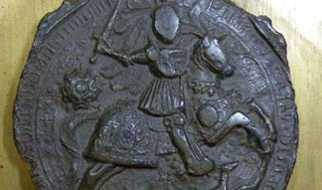 In 1540 John Winchcombe, also known as Jack O’Newbury, a wealthy woollen merchant, acquired the parishes of Bucklebury and Thatcham from the Crown for £2,619.13s. 4d. John Winchcombe demolished the Abbot’s house and built an impressive Tudor Mansion in its place. 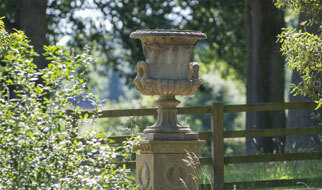 The Winchcombe Family also acquired estates at East Lockinge and East Shefford. The Winchombes remained at Bucklebury until the early 18th century. 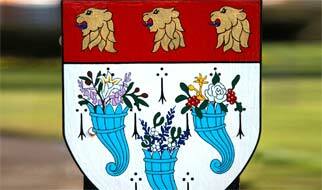 The Winchcombes represented Berkshire in Parliament and married into the Howard Family (Earls of Berkshire). The Winchcombes ran out of male heirs and the Estate passed to Lady Frances Winchcombe who married Henry St.John, Lord Bolingbroke, Secretary of State to Queen Anne. 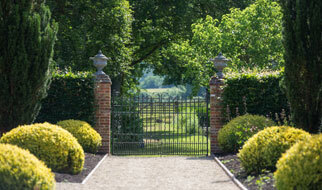 Lord and Lady Bolingbroke rebuilt the kitchens and stables at Bucklebury House. During this period Dean Swift, John Gay, Robert Harley and John Arbuthnot visited Bucklebury. Lady Bolingbrooke’s sister, Mary Winchcombe inherited the Bucklebury and Thatcham Estates (but later forfeited Thatcham due to her Brother-in-law’s attainder). However, she married Robert Packer and extended the family Estates to include the Chipping Sodbury, Old Sodbury and Little Sodbury Estates in Gloucestershire and the Donnington Castle Estate in Berkshire. It was in 1632 that the family took on the patronage of Donnington Hospital Trust with extensive lands in Oxford including the Manor of Iffley and land in Cowley, Littlemore and the City of Oxford. The Packer line ran out in 1746 and the Estates were inherited by a nephew, Winchcombe Henry Hartley. He was the son of David Hartley, the philosopher and author of “Observations on man, his frame, his duty and his expectations”. His half brother, David Hartley, was MP for Kingston upon Hull, and an early advocate (before Wilberforce) of the abolition of the Slave Trade. Hartley was a great friend of Benjamin Franklin and proponent of the Independence of the United States of America. In September 1783 he was dispatched by the Prime Minister, Lord North, to Paris to sign the Treaty of Paris with Benjamin Franklin and Adams (second President of the United States). A portrait of Benjamin Franklin hangs at Bucklebury House. The Hartleys continued to manage their Gloucestershire and Berkshire Estates for another 140 years until 1881 when Winchcombe Henry Howard Hartley died. 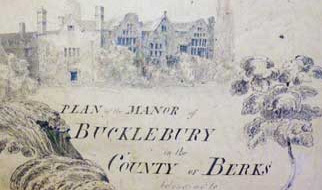 Bucklebury House had burnt down in 1832 and the family moved to Lyegrove, the principal seat of their Sodbury Estates, some 12 miles north of Bath. Winchcombe Henry Howard Hartley had no children and therefore the Estates were divided between four nieces, the children of his sister Elizabeth Hartley and the Count Demetrius of Corfu. Count Demetrius de Palatiano lived between Corfu, Naples and Paris where he was painted by Delacroix, Corbet and Bonnington. The four sisters decided to sell the Gloucestershire Estate in 1906 and the youngest; Frances de Palatiano married Charles Russell of King’s Castle, Ardglass, Co Down. 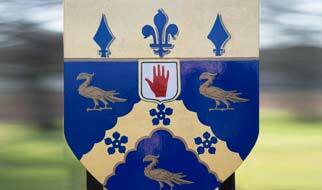 Their third son, Henry Russell added his maternal grandfather’s surname to become Henry Hartley Russell in the 1920’s. Henry Hartley Russell died in 1959 and he was succeeded by his only son, Derek Hartley Russell. Derek Hartley Russell married Pam Hurt, the eldest daughter of Francis Hurt of Alderwasley Hall in Derbyshire. Pam and Derek Hartley Russell moved to Bucklebury House in 1957 and began the task of restoring Bucklebury House for the first time since it was largely destroyed in the fire of 1832. 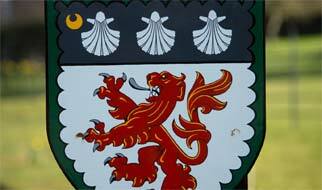 Derek Hartley Russell was Chairman of Berkshire County Council (1967-1970) and High Sheriff of Berkshire (1973-1974). He died in 1991, when his second son, Willie, inherited the Bucklebury Estate. Willie is also Chairman of the family’s Charitable Trust, The Donnington Hospital Trust. Willie and Marina live at Bucklebury House and they have five sons between them. Marina has undertaken an extensive refurbishment of Bucklebury House and has been responsible for completely remodelling the gardens that surround the house. More details about the history of the The Bucklebury Estate can be found on the Berkshire History website under 'castles'. 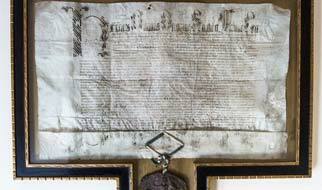 The grant of the manor dated 1540 featuring the seal of King Henry VIII.